After working for several years at another large pharmaceutical company, Tomer made the decision to join Takeda in 2017. Currently, in his role as a Pricing and Payers Solution Manager, he’s responsible for implementing local pricing tactics, developing and providing payer solutions, and exploring new business opportunities in order to expand access to patients. “I love that I’m learning something new every day,” Tomer shares. Being part of a company that encourages its employees to learn and grow makes him excited to come to work every day. 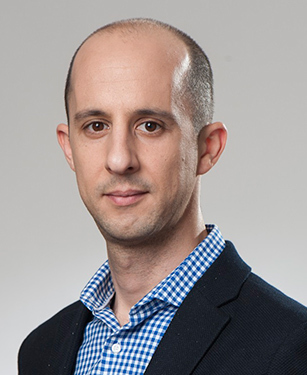 A self-proclaimed “finance guy,” Tomer excels at analyzing numbers. Not only is he great at his work, he also enjoys connecting with colleagues and building partnerships. For him, the ability to do what he loves and use his skills at an innovative, forward-thinking company made it easy for him to choose Takeda. “I went for it and I haven’t looked back,” he says. What Tomer didn’t fully realize is that Takeda was ready to empower him to discover his full potential. More than one year into his new role, he’s as determined as ever. “I plan to continue to develop my skills and gain more credibility by learning different aspects of my job, such as strategy and negotiation.” He’s proactively looking for ways to improve in his role, and knows the company and his manager will support him. This alone keeps Tomer excited about his future at Takeda. As someone who works in the Market Access function, Tomer’s responsibilities include identifying areas inside of Israel that need greater access to medicine. It’s something he thinks about every day and it's a way of thinking that prevails across Takeda. “We’re encouraged to continuously think about how can we expand access to more people in more areas.” This is vitally important, because greater access means more patients get the medicines that they need.